It’s really good, though. Does that sound like a ringing endorsement to you? I will start reading Nancy Mitford next. I supposed that sounds super white now, but don’t worry. I’ve thoroughly enjoyed my reading for this month’s series, and I will definitely be exploring more black authors and reading more of Edwidge Danticat’s work in the future! This entry was posted in books and tagged Chinua Achebe, literary fiction, Nancy Mitford, weekly reads. Bookmark the permalink. 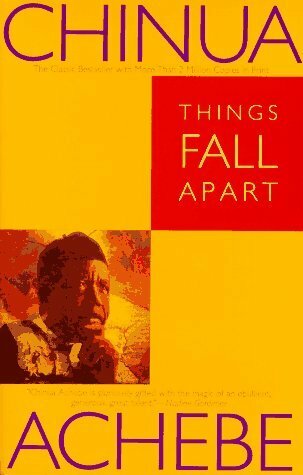 Things Fall Apart is a great read. I hope you are enjoying those last few pages! I know, right? It is good and so far very enjoyable.